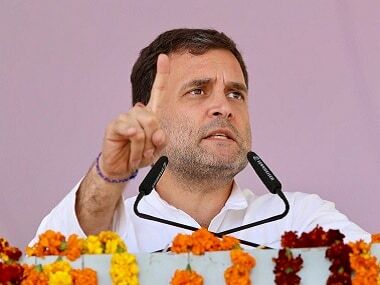 As the Bharatiya Janata Party (BJP) on Monday released its manifesto or 'sankalp patra', with development and national security being on top of its agenda, leaders across the political spectrum minced no words in criticising the ruling party. 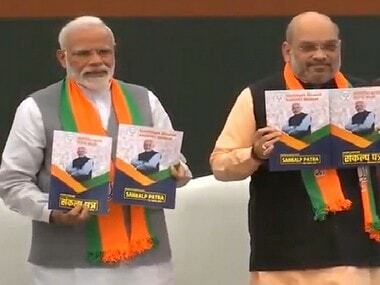 In a series of tweets, Patel said that the difference between the BJP's poll document and that of the Congress was evident from the cover page itself. "Ours has a crowd of people, and BJP manifesto has the face of just one man. Instead of a manifesto, BJP should have come out with a 'maafinama'," the Congress Rajya Sabha MP said. 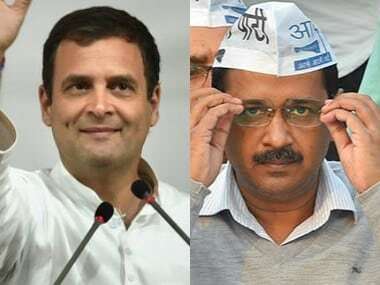 Taking to Twitter, Delhi chief minister Arvind Kejriwal said that the BJP unveiled "a fresh set of jumlas without telling the country what is the fate of its 2014 jumlas." Former Jammu and Kashmir chief minister Omar Abdullah took the opportunity to lash out at the BJP over its stance on Article 370 of the Constitution. Referring to Jammu and Kashmir Governor Satya Pal Malik's statement that there was no threat to Article 370 in the state, Abdullah said that the BJP should send him a copy of its manifesto. Recently J&K Governor claimed there was no threat to Art 370 & 35-A and that parties like mine were only using them to drum up fear in the elections. I hope his colleagues in the BJP send him a copy of their manifesto. West Bengal chief minister Mamata Banerjee said Prime Minister Narendra Modi should be thrown out of power and politics. 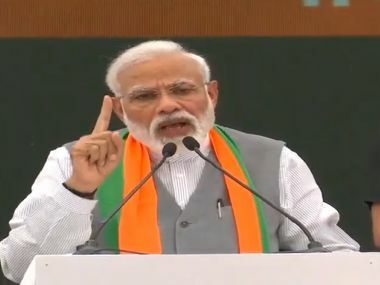 "Modi did not have time to look after the farmers and the middle class, as he was busy touring the globe for 4.5 years of his five-year term," Mamata said in a rally in North Bengal's Nagrakata.